Event cancelled due to weather. Event may be rescheduled. If you were registered, we will be in contact with more information. 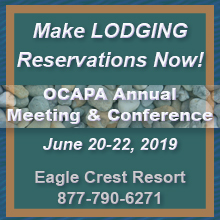 Hosted by OCAPA. For all personnel involved in water quality permit execution and monitoring at a facility; many topics to be covered.